I'm not going to talk about Porsche 911 GT2's features and specs because obviously there are a lot of sites about this everywhere, and besides if we talk about the detailed specs of this Porsche 911 GT2, 9 out 10 people wouldn't understand what we're talking about, so I'll put it this way, this car is one of my hopes and dreams of having, but I'm hoping it won't stay in my dreams forever because it has a reachable price, Porsche 911 GT2 cost around Php 14,950,000 ... well if you compare it to other super cars you know what I mean. Know why I like this Porsche 911 GT2? because this car has a high standard legendary sporty look that can last a lifetime, this cars design is the first thing that pops into everyone's mind when someone mentioned the word Porsche because it has a standard Porsche design, and with this Porsche 911 GT2 even if you face super cars like the top modeled Ferrari Enzo you won't look like a dirt to them in terms of looks that is, people around would consider both your cars an equal rank, and you're hot date would still be beside you when you face an Enzo. That's what's great about this Porsche 911 GT2 you'll be getting equal respect even if you didn't spend that much compare to other higher ranked super cars like Ferrari's and Lamborghini. In terms of speed, Porsche 911 GT2 is a super car, compare to 9 out of 100 cars around you, unless you're facing an Enzo and running a race to heaven, you'll be dusting them out with an engine producing a 530bhp and has a top speed of 204 mph(329 kmh), Porsche 911 GT2 can accelerate 0 to 60 mph with just 3.7 seconds impressive ain't it, plus it has this newly designed system, that makes this Porsche 911 GT2 fuel efficient compare to their other 911 models. This is why I like this car so much because this Porsche 911 GT2 is not build for sports racing only but it is also build to be used in a normal world not in a race track only type of car like the other super cars, this Porsche 911 GT2 is perfect personal car for me. 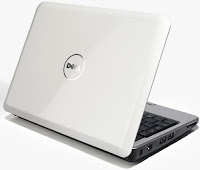 As we know if you are a computer company like Dell Laptops you can't afford to be left out in the trend, well the inexpensive netbooks are one of the hot trends of today, that is why Dell laptops introduces this Inspiron Mini 9, to join the challenge on the war of the netbooks. Dell laptops Inspiron Mini 9 is actually similar to what we know about netbooks which is not as powerful as the normal Dell Laptops but has the feature of portability, this Dell Laptops netbook has the thickness of 1.25 inches which is considered to be one of the thinness in the netbooks also they improved their battery life which makes this a point greater than other netbooks its battery life can lasts more than 3.5 hours, and one more thing Dell Laptops edge over other netbooks is Dell laptops has this customization option for the user, you could either reduce the specs or increase it so you can pick which is the best that suites your taste for example you can lower the resolution of the integrated web cam so you can lower the cost or you can add a mobile broadband antenna, so all in all Dell laptops makes you the boss choose the specs you need in a netbook, of course prices vary from which customization you choose. The 2009 Lexus LS Hybrid car is an all wheel drive (4wd), powered by a 5.0 liter hybrid V8 engine produces a total of 438 horsepower, Lexus LS Hybrid has all sorts of features such as AVS which lets you adjust your ride whether you want a sporty ride or smooth comfortable ride, it has a sway assistance system, electronic power steering, Lexus LS Hybrid has ECVT transmission that helps your motor achieve peak efficiency, it has a Regenerative braking system, Dual Variable valve timing, and one of the good thing of this Lexus LS Hybrid is, it is a super low emission vehicle, which is good for our environment. 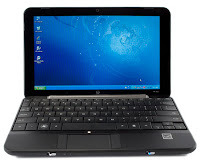 The New HP Mini 1000 is an all purpose laptop made to stand with the netbooks like the Lenovo Ideapad S10, Msi Wind, Acer Aspire, at first HP launched its first netbook the HP Mini Note 2133 to go against Asus Eee Pc's then they followed it with this New HP Mini 1000 which is made a little more powerful than the old model a bit larger in size but it's not an issue because it is still considered as an ultraportable unit. 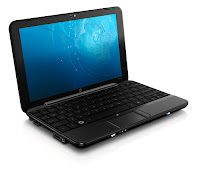 Suitable for light office duty and internet tasks with its low budgetable price this HP Mini 1000 has a definite impact in the market. This new HP Mini 1000 is by far the best when its about beauty and design, its got a 10 inch widescreen, has a weight lighter than any of its competitors and HP Mini 1000 has an excellent keyboard, well in the end if you ask which one of this netbooks is the best to buy, well it all depends on where you'll use it and which particular specs weighs you the most. 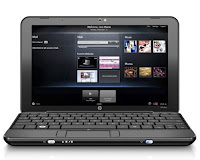 This are my Reviews on the New HP Mini 1000. Have you ever wondered what kind of perfume celebrities use? 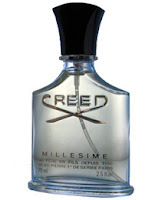 do you know about Creed Perfume? it's one of the top class perfume in the world and Creed Perfume was actually manufactured long before our perfumes today, It was the perfumes used by kings and queens of the past, Creed Perfume Eau de Parfum is what celebrities use today, that is why they smell so good, Creed Perfume the Eau de Parfum has a stronger scent that lasts much longer than Eau de Toilletes. The only thing that keeps me from getting one of these is the price, Creed Perfume is expensive, but it has what it takes to be expensive well at least that's the good of it. Here are my opinions about some of Creed Perfumes scent. Bois du Portugal - has a scent of a warm masculine mix with an exotic wood and spice scent. Erolfa - this Creed Perfume has an oceanic type of scent inspired be the freshness of sea. Green Irish Tweed - has an elegant charming scent more on the floral side of scent, this is Creed Perfumes best seller. Neroli Sauvage - is more on a fruity citrus scent. Original Santal - has a heavy scent more like a formal type of scent. 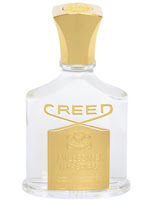 This Creed Perfume is best used in a formal occasion. Original Vetiver - has a combination scent of a fresh green and a woody aroma scent. 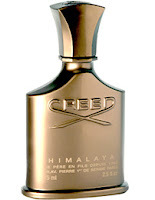 Silver Mountain Water - this Creed Perfume has a fresh mountain air scent. Tabarome - has a mix scent of herbs citrus and tobacco scent. The 2009 Lincoln Suv MKX was first introduced in 2007, is Lincoln's first entry into the ever growing luxury SUV. The five passenger Lincoln SUV MKX has a horsepower of 265, its engine is a 3.5-liter V6 and has a six speed automatic and front wheel drive or 4 wheel drive, depends on which you choose to have. Lincoln SUV MKX has built a standard safety features including the four wheel anti lock brakes, six airbags, electronic stability control with roll control, rear par king sensors and tire pressure monitoring. Well this Lincoln SUV MKX won't be considered to be a luxury car if that's the only features they have, of course there is more there are other Optional features on this Lincoln SUV such as the VistaRoof normally known as the sunroof, heated rear seats, navigation system (GPS), rear entertainment system and a THX II certified audio system which makes this car a certified luxury Lincoln SUV. Lincoln SUV's next-generation navigation system is now available, which includes a 10GB storage space for music storage and SIRIUS Travel Link. This Lincon Car has a 3.7 liter engine V6 powerplant smoother run that will deliver 272 horsepower and 265 pound-feet of torque. They say there's a turbocharged V6 model that will be released a year after the first Lincoln car MKS releases, and it will have a V8-rivaling power with less fuel consumption. That Lincoln Car Power would be at least 400 horsepower and 415 lb-ft of torque. 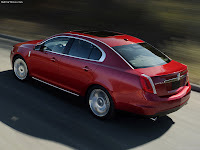 The Lincoln car MKS has a all new designed suspension, its wheels are 18 inches, modification for 19 and 20 inch aluminum are available in the market. This Lincoln Car made a bunch of advanced features if technology is what you ask for, Lincoln car MKS has a Ford's SYNC Bluetooth-enabled wireless communication system, premium stereo, voice-activated navigation system, Adaptive Cruse Control (ACC), keyless entry and engine start system, this Lincoln car has a Adaptive HID Headlights, rain-sensing wipers, forward-sensor parking assist, and a rearview camera system, or you can just say this Lincoln car has a complete driving guide system for a car. This Lincoln car MKS will cost around $38,000, base on my research. Ford Motor Company's Chicago Assembly Plant will be responsible for building this Lincoln Car, and this Lincoln car MKS will be arriving in Lincoln showrooms next summer. Lincoln Car has put the numbers up to their marketing and designers they plan to sell at least 40,000 units of this Lincoln car annually. 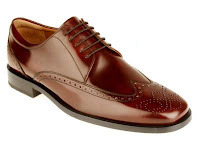 Before I met this Florsheim shoes, I have actually been looking for a shoe that looks great with the formal suites that I wear, usually leather shoes specially formal suite type of shoes isn't comfortable when you wear it, its hard, makes you hard to move, hard to walk, or even slippery it makes you wish you could wear a pair of sneakers with your suite, I've always had that feeling. 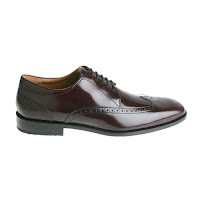 But then I saw this great Florsheim Shoes The Tipper. 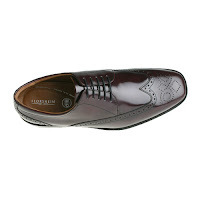 The Florsheim Tipper has great design it's actually a simple designed shoes but looks classy this Florsheim Shoes has a wing tip brogue dress shoe which features a leather upper, sheepskin linings, not only the design that's great about this Florsheim shoes but also the comfort, the Bio Comfort Sock Liner, and a durable leather sole. 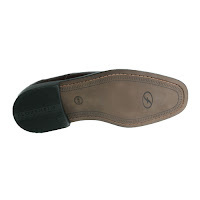 The Florsheim Bio Comfort Sock Liner System is Bio-mechanically designed to be breathable, moisture-wicking, and provide excellent shock absorption. 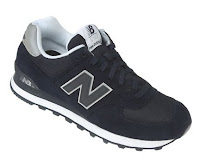 Which makes your Florsheim shoes comfortable to wear even in long walk s you'll feel like wearing a sneakers inside and a spectacular formal design outside. 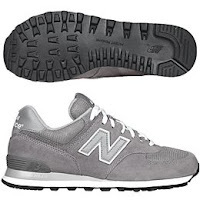 One of the great thing about this Florsheim shoes is its price it isn't as high as other designer shoes it cost only $110. 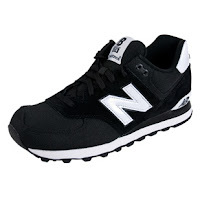 I can say this Florsheim is the best shoes for me, and it is my Must Haves. 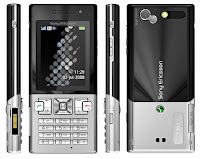 The Sleek and Shiny New Sony Ericsson, the sequel to the popular phone T610 launched back in 2003, SE has announced the New Sony Ericsson T700 that has a neat formal luxury design combined with great real mobile phone features. The New Sony Ericsson T700 is 10mm thin with a lightweight of 78 g it has a 3.2 megapixel camera not that high compare to hi tech phones of today but is enough for a mobile phone, it has a media player and a high quality speakers just like all SE mobile phones always has, it supports A2DP, it has a 2 inch screen display and a memory stick micro card slot for memory expansion. 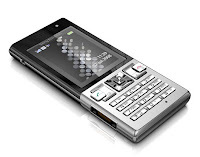 Sure this New Sony Ericsson mobile phone features isn't as tough as those of iPhones and company, but this new Sony Ericsson was made for the most common usage needed in a mobile phone, in other words it has all the features needed in a mobile phone, with the combination of its sleek high class design, I could say this new Sony Ericsson T700 could be one of the top selling phones in the market.